Oh c'mon, Dad, nothing's going to happen. And for sixteen year-old Rowan Areno, shielded by her parents from the dark side of life, nothing bad usually does...until that last Friday in March when Rowan cuts school for a day of fun-and a random stranger's shocking crime sets a traumatic series of events into motion that will change her life forever. The crime video goes viral, the cruel, relentless aftermath threatening Rowan, her family, and Eli, a witness haunted by losses of his own. But when tragedy strikes, shattering Rowan's world and destroying all she thought was true, not even Eli can protect her from the devastation. Her life now divided into Before and After, Rowan struggles to survive, searching for answers, and desperate to make sense of what remains. She discovers that everyone grieves differently, though, and the path to love and forgiveness isn't simple or straightforward. Will she carry these emotional wounds with her forever, or with Eli's help, can she learn to trust, hope and believe in happiness again? 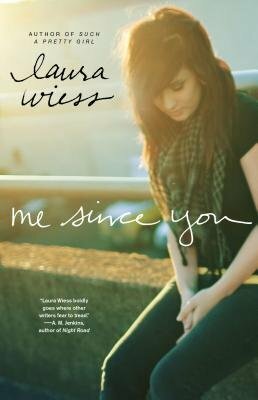 Me Since You is Laura Wiess at her finest-a beautiful, gripping, and painfully honest examination of love, loss, and a family in crisis.